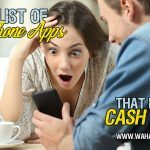 You are here: Home / Extra Cash / These 23 Best Sites Pay You a Bonus Just to Create an Account! Have you ever dreamed about making money easily online? Well, today I have a way for you to do that. 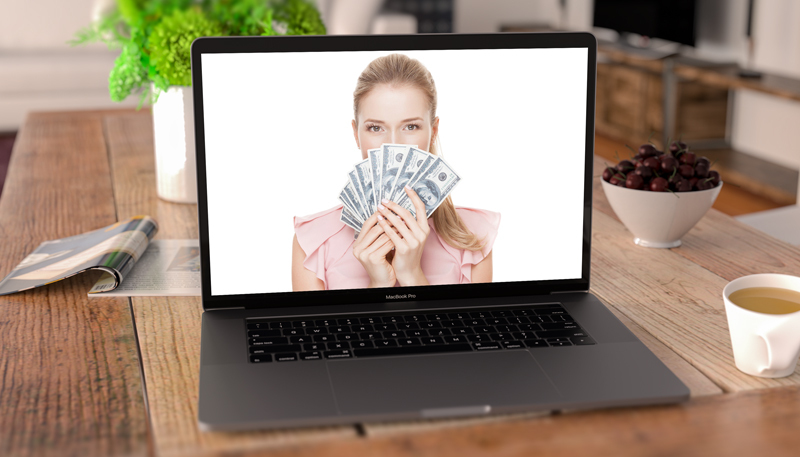 Not only do some websites pay you to use them through shopping online, completing offers, or doing other easy online tasks, but some will also pay you just to sign up. These sites simply want more participation. What better way to do that than to entice people to register for an account by giving them some cash? 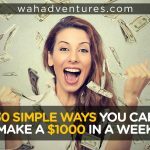 This article shows you what websites will give you an easy sign-up bonus when you register to get your earnings to a quick start. 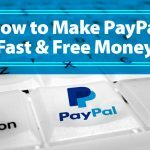 Most of the following sites won’t give you a quick PayPal sign-up bonus just for registering. Instead, your earnings will go to your account, and you might have to wait until you reach a minimum cash out threshold to get them. Still, you can’t beat making some money just from giving your information and taking a couple of minutes to register. But, be sure to only sign up for sites that you’ll use in the future so that you can continue to get closer to the minimum amount needed to cash out and get your money. Here are several sites that pay you just for registering. InboxDollars comes from the same company as Daily Rewards, so it operates in much the same way. However, I find that InboxDollars has more opportunities available to make money. 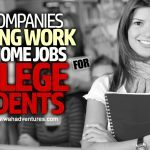 It just seems to be a more active site with more consistent earning opportunities. You can get paid to search the web, read emails, play games, take surveys, complete offers, and other small online tasks. You need $30 to cash out, and will also become a Gold member as soon as you get your first payment. Not only is Swagbucks probably the best GPT site on the internet, but it also has an amazing $10 sign up bonus just to register your account. I find it easiest to earn money on Swagbucks. You can get cash back for online purchases, take surveys, check emails, watch videos and ads, complete offers, and more. Turn in your points, or SBs, for one of several gift cards, or you can choose PayPal cash. There are even some gift cards that require less than 100 SBs to get, making it possible for you to get a reward every week if you earn enough! CashCrate is a well-known GPT site that pays you $1 just to sign up. There’s a lot to do here, so you can reach the $20 minimum payout amount quickly with surveys, offers, and more. CashCrate also has an excellent referral system that gives you 20% of everything your referrals make, and another 10% of what their referrals make! FusionCash is one of the most popular GPT sites, paying you for all kinds of easy online tasks. Take surveys, play games, watch videos, sign up for offers, and refer your friends to make money here. You’ll need at least $25 to cash out with PayPal, and at least $15 of that amount needs to be from tasks other than referrals. When you sign up for Ebates, you can choose to get $10 as a Walmart gift card or an Ebates cash bonus. Ebates is a shopping portal that pays you to shop at one of its partnered retailers. Make a purchase, and you’ll get credited a percentage of your purchase. You can even earn $25 for referring friends! Save even more money by taking advantage of the bonus deals Ebates rotates frequently. BeFrugal is a cash back shopping site that rewards you to shop online with your favorite retailers. You’ll get $10 for signing up. Then, you can use the site to bring you to your favorite online stores to make purchases. You’ll receive a cash back amount as a percentage of your purchase for all qualifying purchases. You can choose to receive your earnings through PayPal, a check, or an Amazon gift card. 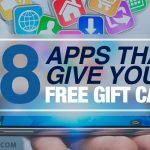 This site is a gift card exchange where you can find gift cards you want at discounted prices, or even sell your own gift cards that you don’t want or need. You won’t get a $5 bonus for signing up technically, but it’s just as simple. Refer a friend, and $5 goes to your account! You don’t even have to use the site in any other way or make a purchase; your friend just has to make his first purchase for you to get credited. 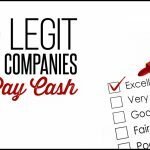 Cash4Offers is a reward site that pays you an easy $5 just for signing up and completing your profile. Then, you can start earning money by referring friends, reading emails, taking surveys, and even playing games. The downside is that it could take you a while to reach the $35 minimum cash out threshold because payments are pretty low here. But, it does pay through PayPal, which is convenient. CouponCactus has tons of coupons for you to use when you shop online, and even pays you to sign up. It’s also a cash back shopping site that gets paid a commission when you make a purchase, so it pays you to shop through the site. You can make more money with referrals, too. The site pays quarterly when you have at least $10 in your account, which you can make quickly if you frequently shop online. Earn points from shopping, playing games, watching videos, clicking ads, taking surveys, and completing offers to trade in for cash. The site offers several gift cards, like Amazon and Walmart, or you can choose to switch your earnings to PayPal cash. You get $5 to sign up, which is given in the form of points. You can redeem your points for prizes when you have 1,000 in your account. Daily Rewards is another GPT site that pays $5 to sign up. Cashback shopping, web searching for cash, and offers are popular here, but you can also refer your friends and do some micro jobs to earn more. You need $30 in your account to request a PayPal payment, and you’ll get switched to a Gold account immediately after your first payment. Sign up for this shopping portal, which works much like Ebates, and get $5. Find the retailer you want to shop with, make a purchase, and you’ll get your cash back in your account once the purchase is approved. You can get your earnings transferred to your credit card or PayPal account, or receive a check. Ibotta is one of the best apps to try to get an easy $10 just for signing up. The app itself is awesome, so you won’t be wasting your time signing up. With ibotta, you get paid to shop in stores. Use the app to find rebates for products you’re going to buy before you head to the store. Add the rebates to your account, make your purchases, and then scan your receipt and product barcodes when you’re done. The great thing about ibotta is that you can join up with friends and family for “team” bonuses to earn even more money. You need $20 to cash out, which most people get quickly. I earned mine within my first shopping trip using ibotta! iPoll pays you to share your opinions through surveys. You can take them via the website or on your iOS or Android mobile device with the app. iPoll pays with Amazon or iTunes gift cards, or PayPal cash. Every time you take a survey, you also receive entries into the $10,000 quarterly prize drawing! Opinion Site is a paid survey site that sends invitations for surveys to your email. You need $25 in your account to cash out with PayPal, but you get $10 just for signing up, so it shouldn’t take too long to reach that amount. Opinion Site is a survey site that offers paid surveys for points. Every 1400 points is worth $1, and you can cash out when you reach 14,000 points, or $10. You can join the Global Community, which has general surveys or join as a healthcare professional for medical-related surveys. Panda Research has some of the highest paying surveys on the web. For example, a current survey about arthritis will give you $15! These surveys will typically be long, detailed ones, but the pay is worth it. You can also take short surveys for $1 or so. You’ll get $3 just for signing up and can cash out when you reach $25. You get paid twice a month via PayPal. Piggy is an extension that you can add to your web browser to help you save while shopping through coupons and cash back on your purchases. Piggy also has a mobile app for iOS and Android devices so you can save on the go. You get $5 as a thank you for signing up. The only drawback is that Piggy only sends your payments quarterly, so you’ll have to wait three months between each payment. PointClub gives you points for taking online surveys. Then, get rewarded with digital or physical gift cards, or get your earnings through PayPal cash. You’ll get $5 for signing up and completing your profile, which helps you get survey invites for ones you’ll likely qualify for. PointClub also has a daily giveaway for points to help you earn more quickly. SendEarnings is another sister site of InboxDollars that gives you $5 to sign up. This site has a little more to offer than Daily Rewards, but still a bit less than InboxDollars. But, you can sign up for all three and get an easy $15 combined! Like InboxDollars, you’ll need $30 minimum to cash out. Try completing offers and surveys to get your earnings up quicker to get your first payment. Squishy Cash is a GPT site that rewards you for completing offers, taking surveys, and referring your friends. In fact, you can earn $1 for every active referral, plus another 25% of all of their earnings. Cash out with PayPal once you have $20 in your account. Squishy Cash starts you off with $3 just for registering! Treasure Trooper gives you $1 for a quick sign up. After that, you can take surveys, play games, shop online, complete free and paid rewards, and refer others to the site for cash. You’ll get instant cash when you reach $20 by withdrawing with PayPal. Or, choose a check, but these will take longer to process. Checks only go out once a month for everything you earned up to the end of the previous month if it’s at least $20. Univox Community is a place where you can share your opinions with surveys. Redeem your earnings, including your $5 sign up bonus, for an Amazon gift card, VISA prepaid card, or PayPal cash. You need a minimum of $25 to cash out as a basic user, but as you move up the levels, you can get your money quicker, with $10 being the minimum cash out amount. Now you know where to go to find easy sign-up bonuses for websites. I don’t suggest just signing up with all of them, though, unless you plan to stick with them. Since they all require minimum cash out amounts that are more than the sign-up bonus, you’ll need to keep using them to get your first pay. Once you reach that amount, you can always stop using a site if it’s not right for you. But, it’s worth it to keep going until you get your sign up bonus! Did we miss any other legitimate websites that pay a sign-up bonus? If so, let us know in a comment!